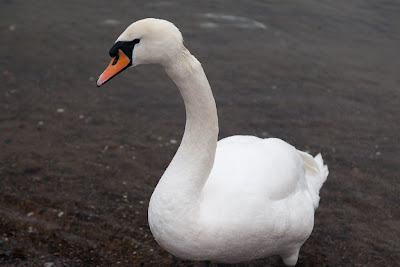 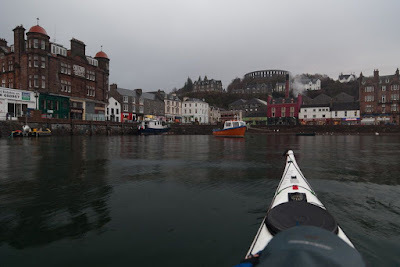 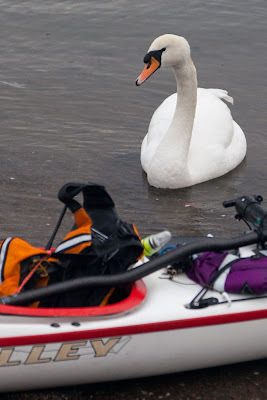 Sea kayaking with seakayakphoto.com: Swanning about in Oban. 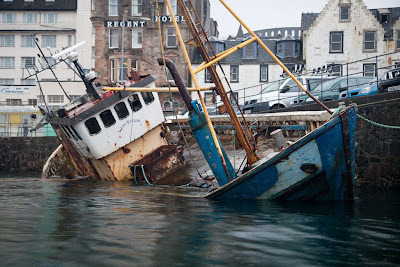 ...FV Lady Evelyn. 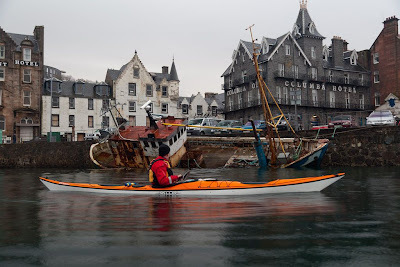 Sadly she has seen better days. But possibly there is hope that she might see the high seas again. We were now nearly back at our launch spot below McCaig's Folly and the Oban Distillery. 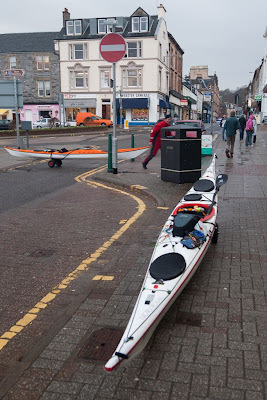 ...and make our way back through the streets of Oban to where we had left the car.